August and September make for a funny, exciting time of year. Students return to school with mixed emotions from their summer, all the television networks start winding up their football programming, monsoon clouds bring their (often false) promises and, most importantly, large portions of North America experience a surge in migratory birds. When people travel, they tend to prefer visiting or at least stopping at nice pretty places throughout our trip. For Arizonans especially, that's anywhere with some water. It's the same with birds, which is why the Glendale Sewage and Recharge Ponds are the premier shore-birding habitat in Phoenix and why so many birders spend their mornings near that which they're otherwise so eager to flush away. It is a plush post-flush ocean front property, and now is the time to make one last summer beach trip! So take a whiff of saltwater, hold some seashells to your ears, close your eyes, and pretend you're now at the beach (don't really close your eyes; then you wouldn't be able to read the post). 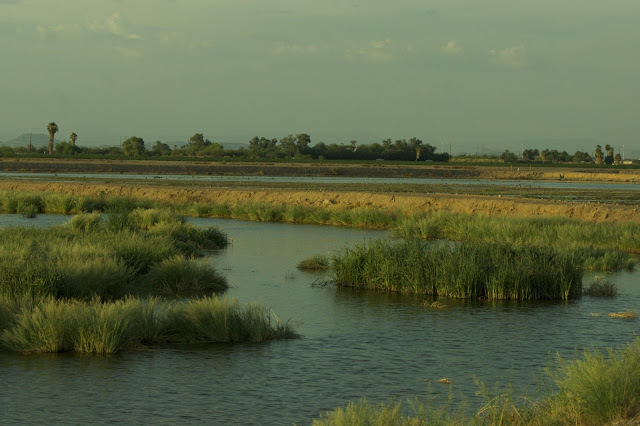 We're going to do some Arizona shore birding! Here we are at the beach. The sun is beating down upon us and the warm breeze stings our toes ever so slightly as it whips along the sand. It must be low tide, for there are no waves and the water is rather shallow. Thinking little of the low water level in the ocean or the faint smell of distant sewage, we unfold our rickety beach chairs, stick an umbrella in the ground, and soak in the scenery. 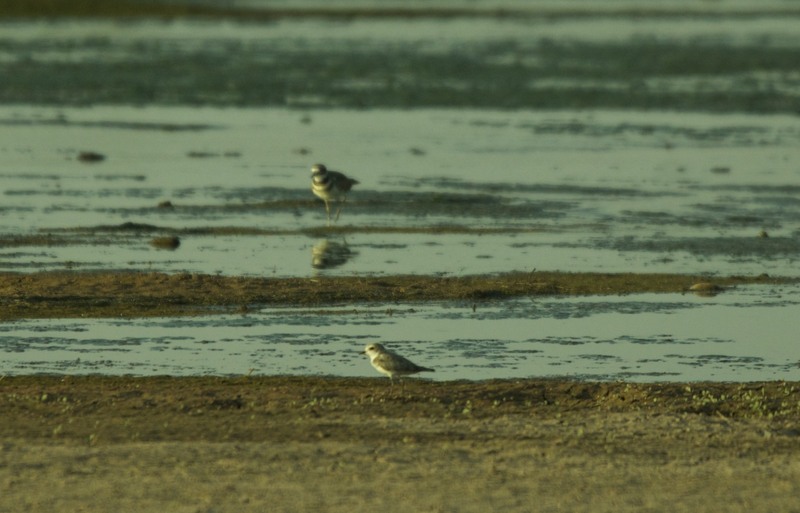 Upon closer inspection, we see that the shoreline is dotted with Semi-palmated Plovers. 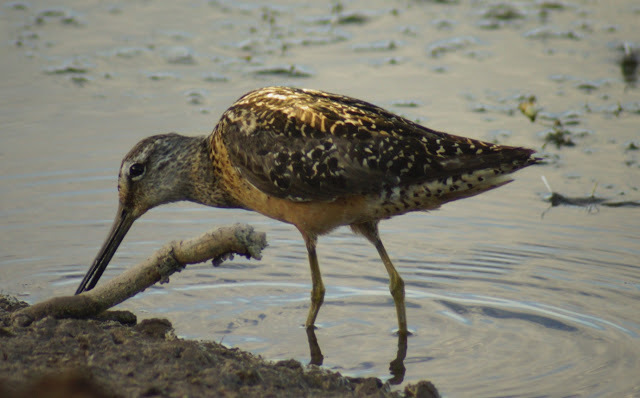 This is an annual yet uncommon bird in Arizona, but a predictable sighting for us here on the Pacific coast, even though the sand seems to have a weird, gross green algae growing over it. 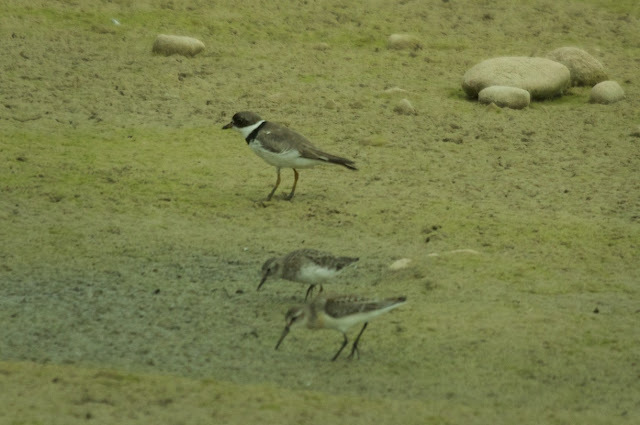 In the background, Killdeer, Yellowlegs, and Stilts are maintaining a high-pitched cacophony, but the shoreline seems pretty busy so we decide to set up the scope and do some scanning their first. 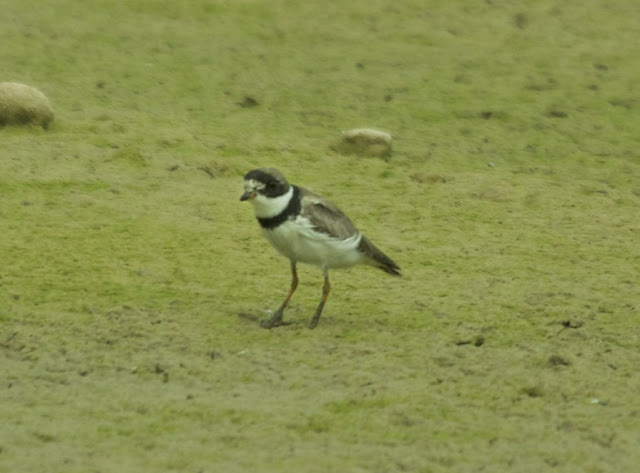 Soon we pick out the tiny but plump frame of a Snowy Plover. This would be a pretty solid find in Arizona, but since we're on the Pacific Coast instead, we don't think too much of it. Away to the east, some movement above the water catches our attention. 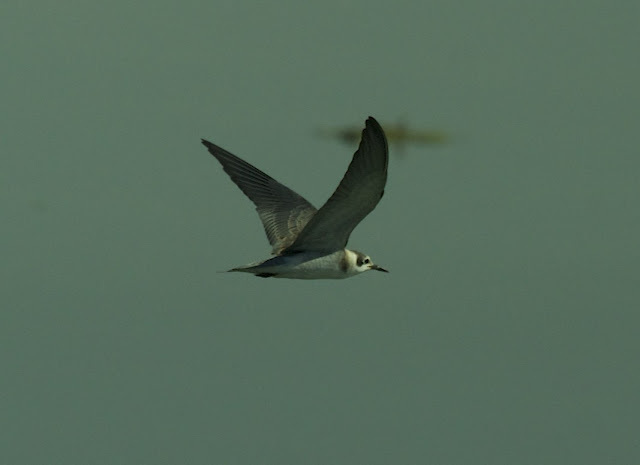 A Black Tern is foraging over the pacified waters, looking somewhat mottled in its intermediate plumage, but still graceful nonetheless. We enjoy the sighting and the bird's antics, pondering all the while how unusual it must be to see Black Terns and tumbleweeds at the same time. 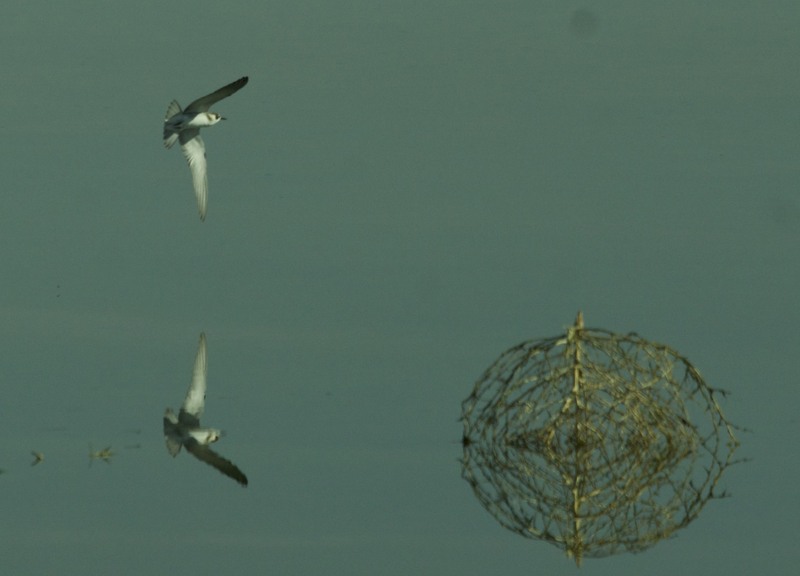 We know Terns migrate great distances, and apparently tumbleweeds do too. A flock of Black-necked Stilts fly by, hiding a few Avocets in their ranks and adding more formality to the scene with their black, white, and pink ensembles. We feel a little underdressed for the occasion, and so turn our attention elsewhere. A single Short-billed Dowitcher, differentiated by its tiger-striped tertials, is foraging with some Western Sandpipers. Like the Snowy Plover, this would be a very solid sighting if we were inland, but here on the pristine Arizona coast we think little of it. 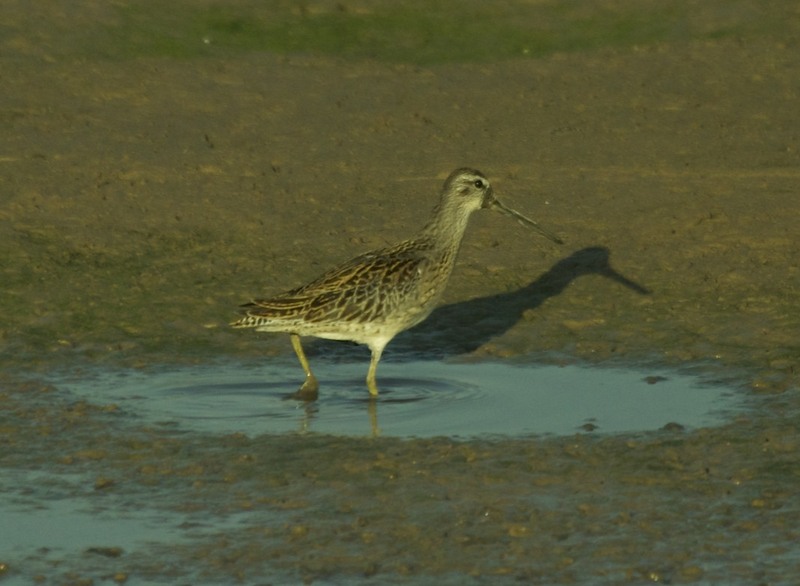 In fact, the multitude of Long-billed Dowitchers, much more common inland, is the far greater surprise. 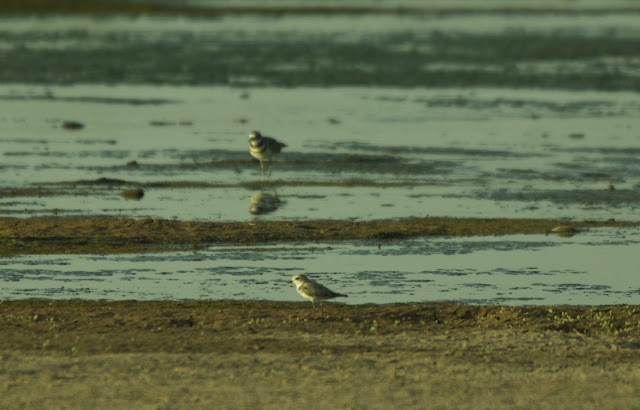 To really strain our eyes, we start scrutinizing the many flocks of Western Sandpipers to turn out a Semi-palmated, looking for shorter beaks and slightly varying plumages. It's a painstaking task, and we can't get photos of the Semi-palmateds when they do stand out. 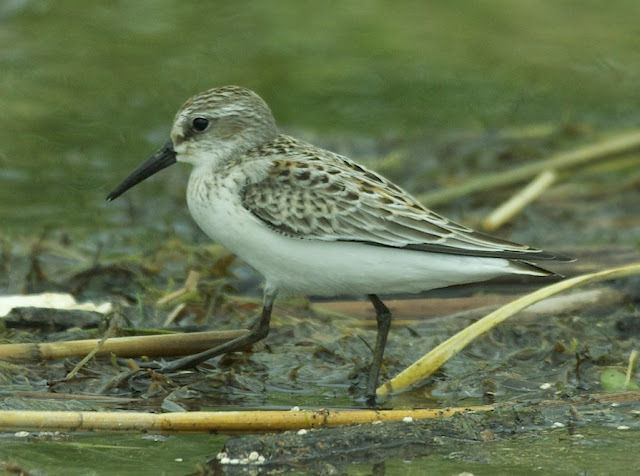 At least the Western Sandpipers are pleasant to look at in the mean time. 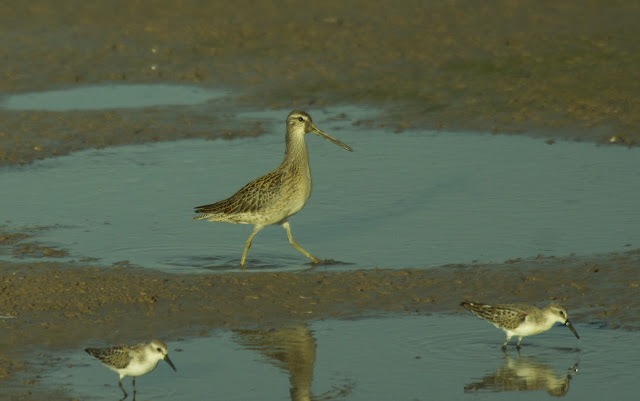 Looking at tiny peeps can be an arduous thing, so we walk further down the shoreline to the salt marshes, hoping to see Pectoral Sandpipers or Saltmarsh Sparrows. Calling Soras and jittery Egrets add to the boggy atmosphere here, but the Pectorals don't come into view. 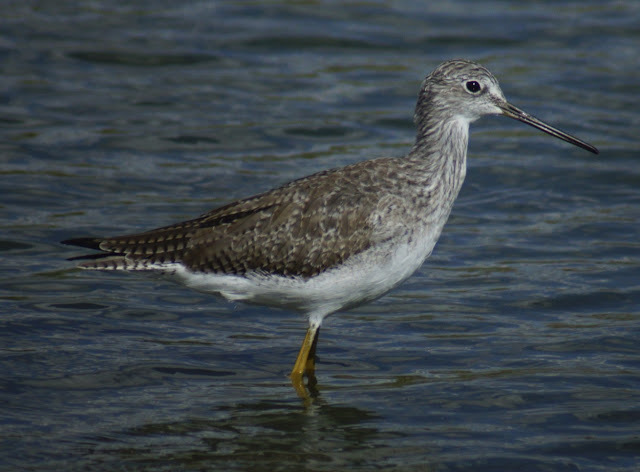 There are worse consolation prizes than a Greater Yellowlegs foraging up close. At this point, having watched so many different animals feeding, we start to feel peckish as well. It's time to head back to the beach buggy and grab the cooler, time to take a lesson from the birds knowing how to enjoy their summer beach day. As we make the short walk down the beach, a startling cry echos from the right. Of course! 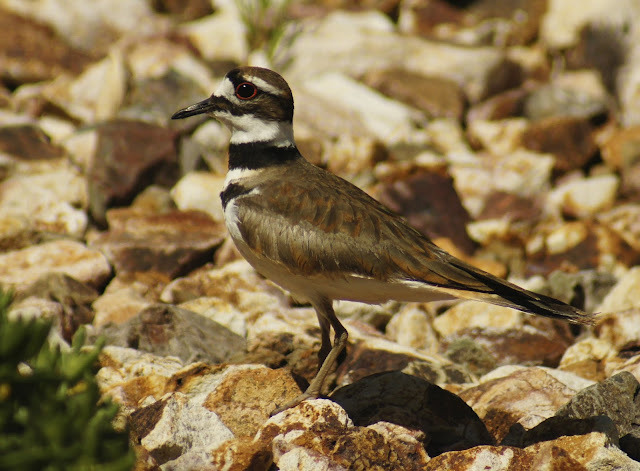 It is a Killdeer, the common and noisy Plover near and dear to our hearts. He's standing along a rocky outcropping and blending in very nicely. Since this is the Pacific beach and not an Arizona sewage pond, we marvel at this unusual and refreshing sighting! Ahh...a quick dip, some picnic lunching, some more cold beverages and it's time to pass out. What a lovely trip. If only the world, or even the universe, wouldn't mind holding still for a day or two and letting us preserve this experience. But the wind is moving, the birds are moving, and so too must we. I did enjoy reading this post - thank you! 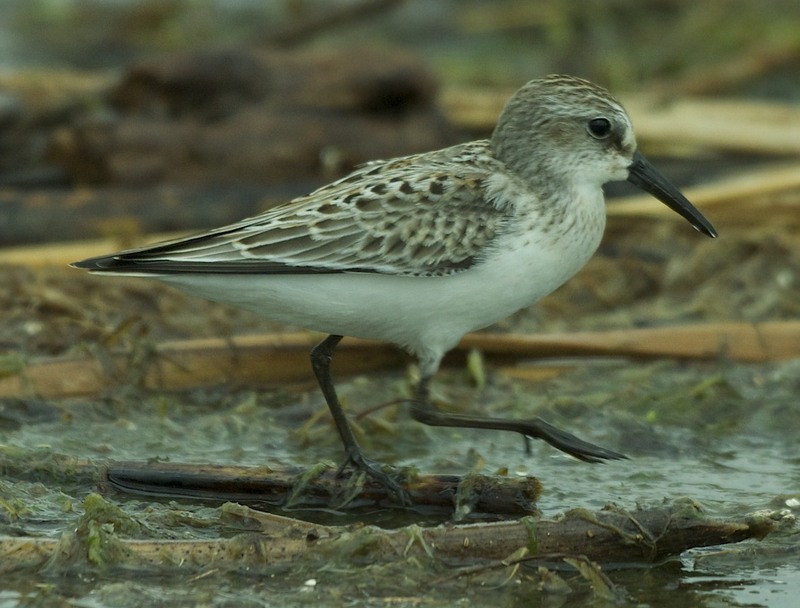 Great post and photos of the shorebirds are wonderful! The stilt flight is my favorite. Happy Birding! Laurence, thank you for taking us along on your shorebird excursion. So many stunning birds seen here. Terrific post, beautiful images! Laurence, I love your imagination and sense of humor. what good birds you saw! I have not been to this location yet! Perhaps it is time? Great post!